The Cool-Air Armored Riding shirt is made especially for those hot States where heat and humidity make you face that old dilemma – ride in a T-shirt and be cool and unprotected, or wear a suit and get cooked alive! The Cool-Air Shirt is made from a stretchy mesh material. 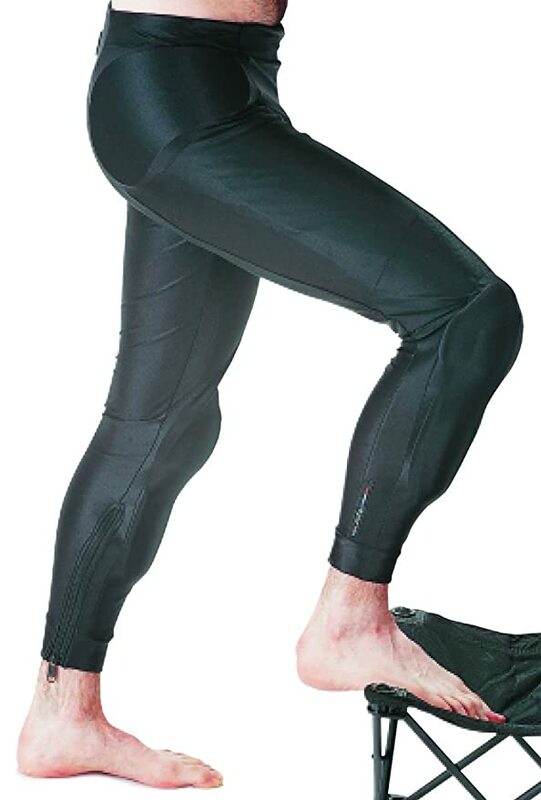 Combine an Cool-Air Shirt with our Cool-Air Pants and you have a great protection solution. Now you can ride in jeans and a T-shirt and still be protected. LET’S BE HONEST… Although we know it makes sense to wear full safety gear whenever we ride it’s often not practical or convenient. You may be just riding across town, commuting to work, touring or maybe it’s just too hot – but we somehow don’t feel comfortable riding ‘naked’. 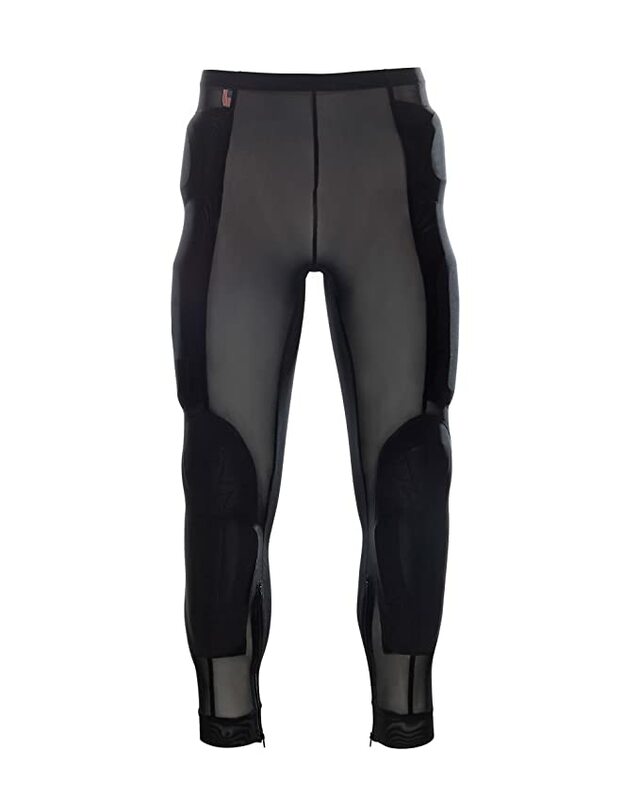 Bohn armored riding shirts and pants are your ideal safety solution…with comfort and protection. You have heard about Bohn Adventure Pants – one of our best selling products, and a favorite of riders who like to ride in blue jeans? Our Cool-Air Series uses our exclusive elastic mesh material which lets the air pass right on through! We have tested these in all climates, conditions and different kinds of riding. They work GREAT! These are absolutely perfect if you ride in the heat and humidity of the summer. All features are the same as our Adventure Pants with the addition of our Magical Mesh! Hips, tailbone, thighs, knee/shin armor included and completely removable for easy washing. Bohn Adventure Armored Pants are a revelation! How many of us just like to ride in Blue Jeans? It’s like they were invented for motorcycling! But somehow our knees feel rather exposed, to say nothing of our hips, thighs and tailbone. Our fully armored Adventure Armored Pants fit comfortable hip, thigh and tailbone pads with slim, articulated knee and shin armor in a stretch Lycra pant – all designed to fit under your jeans. Your friends will never know! 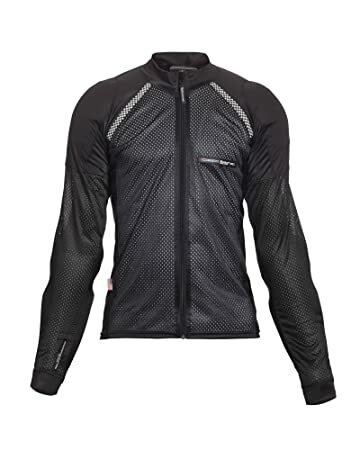 Features: Breathable, stretch Lycra fabric with ventilated crotch panel for added comfort. Bohn Zorb knee/shin armor & Bohn Zorb hip, thigh and tailbone armor. Non-roll elastic waistband. Zipper closures at ankles for a snug fit. Armor easily removes for laundering in a regular washing machine. There is no shrinking. About one quarter of our shirts and pants are bought by women who find the unisex styling practical and comfortable. Unlike jackets – where you often choose a larger size for comfort when you wear other garments underneath – Bohn Armored Pants and Shirts should be selected closest to your ‘real’ size; this way it will fit snug and firm holding the armor in the correct position. The big advantage with this system is that you have a versatile armor system which you can wear under your other suits or jeans and that will last you many years. SAVE $33 with our Combo Deal Special! The Airtex Shirt is made especially for those hot States where heat and humidity make you face that old dilemma – ride in a T-shirt and be cool and unprotected, or wear a suit and get cooked alive! 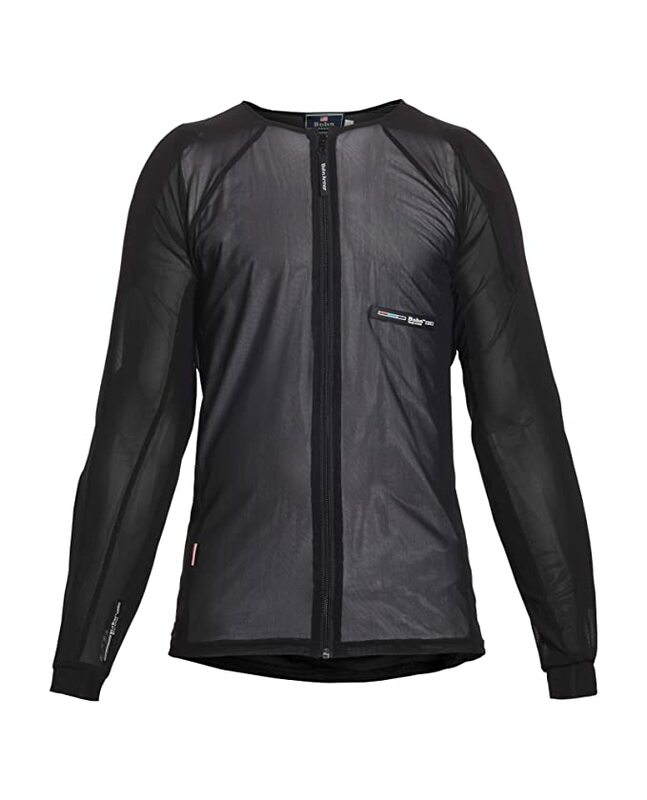 The Airtex Shirt is made from a ventilated material similar to that of basketball vests. We now have a great stretch mesh which works as well as the lycra in the Adventure Shirts. Combine an Airtex Shirt with our Adventure Pants and you have a great protection solution. Now you can ride in jeans & T-shirt and still be protected. LET’S BE HONEST… Although we know it makes sense to wear full safety gear whenever we ride it’s often not practical or convenient. You may be just riding across town, commuting to work, touring or maybe it’s just too hot – but we somehow don’t feel comfortable riding ‘naked’. Bohn Bodyguard shirts and pants are your ideal safety solution…with comfort and protection.